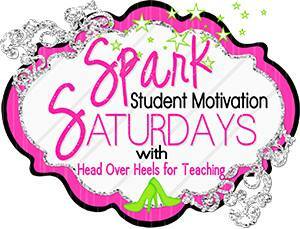 Spark Student Motivation - A Plan for Magnets and a Freebie! Today I am going to share something I will be using next year that is an extension of something I have in my classroom now. In my class I have these two magnets. One is for hanging anchor charts or checklists for students (before they make it to a bulletin board or on to the anchor chart hanging rack). The other is for posting student work - to inspire the other students or to serve as an example or just give a student a good feeling. I was at our Parent Council meeting (I am one of the staff reps) and we were talking about making magnets for our school and we were saying how we could just use the peel and stick ones for a quick fix rather than order some. One of the parents had never seen them so I went and got one of mine and she said "I never got one of these home with my daughter" and just like that a lightbulb went off in my head. 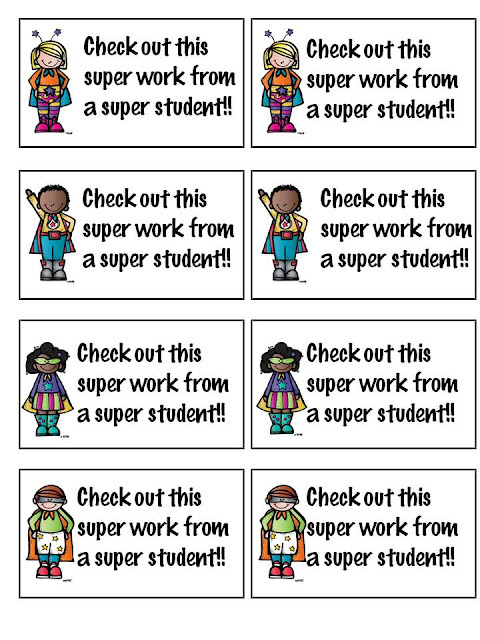 I can make more of these magnets, add the student's names and send them home when a student does some super work or reaches a goal or well for whatever I want. So I made new ones up for next year so they will be ready to go home as soon as the super work happens. Too get them to fit neatly on the magnetic business card trim off the black border, just sayin'. These are the cards I use. If you are interested in making some magnets here is a copy of the file I made for next year. I made ones with room for names and ones without. Hope you can use these too! Love it!!!! What a fantastic way to showcase work at home! 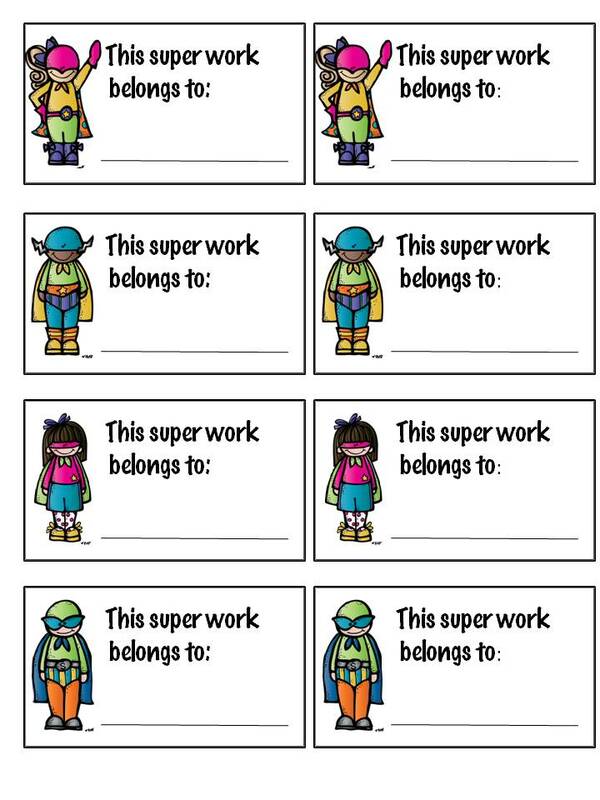 This is a great gift to hand out at the beginning of the year to motivate them to bring papers with their best effort home that could be displayed! DEFINITELY making these this summer! As always, thanks for sharing and linking up! I love this! I always tell my students that their work is a "refrigerator paper," now I can give them the magnet to hang it with! Thank you so much for sharing! What a great idea! That really shows students how valuable their work is. Thanks for sharing! THis is such a cute idea! I used Vistaprint last year to make magnets, but since then I haven't seen a 'free' offer. (I say free since they always get you for uploading a design and shipping...) Might have to look into these magnet sheets. Thanks for sharing! What an awesome idea! Thanks for the freebie. These are great! Thanks so much for the magnets. I bet the kids love them. These are so fun! I found you through Classroom Freebies. Those are absolutely adorable!!! 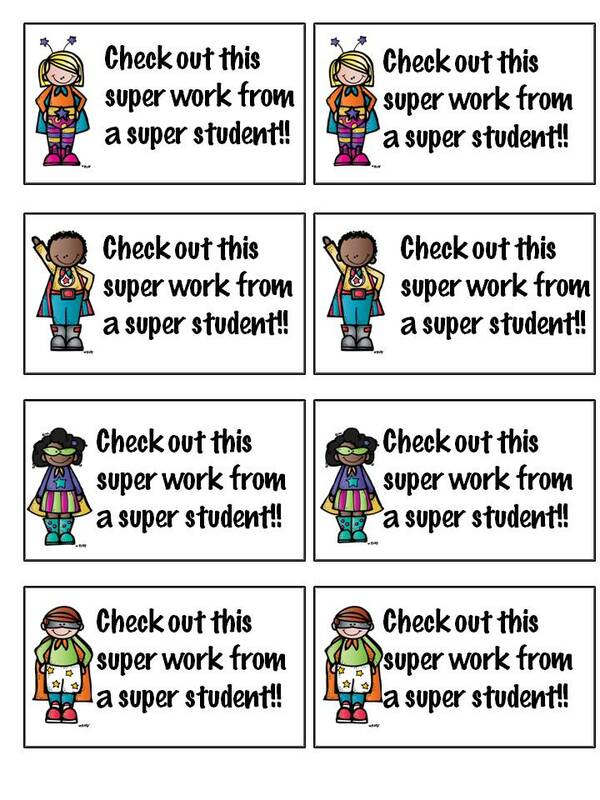 I definitely want to send something like that home at the beginning of the year so when work comes home, parents have a cute magnet to hang up super work they bring home! Love the little clipart you used. Great Idea! Thanks so much for sharing!! !